Not far from 180spm, so where's the speed? I'm a little disappointed with today's run because I could not generate any speed. Despite clocking my first mile in 8:57 (easy for many, but hard for me lately), I ended up averaging an unremarkable 9:29 pace over 3.5 miles. After a good start, I'd lost time on mile 2 and then tried to make up for it over the last 1.5. I felt like I'd made a good effort, but according to Garmin Connect, my heart rate across the whole run ranged only between 77-85% of max. I took a look at my race history and compared my pace performance with my average heart rate. Since I've only run about a dozen races using a heart monitor, this wasn't a statistically significant representation. Directionally, it seemed to indicate that my best times happened when my heart rate averaged 93% of max HR or greater. Does this mean that I'm somehow holding back, even as I work to push my speed during a run? The numbers seem to point to an opportunity to unlock some speed by adding even more effort. My cadence rate has actually improved over the 5+ years since I've starting daily running, but that hasn't translated to speed. I will do my best to hold the effort on Saturday. I'm not asking for much, but beating 27:50 would be nice. 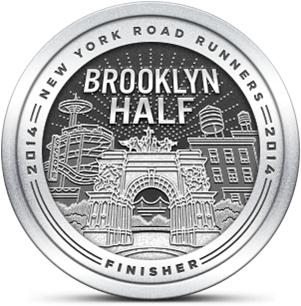 Realistically, at what pace would you like to run this race? If you stayed closer to and even longer at 180, your heart rate will increase to that magical 93%.The fact that your are not far from 180 is the reason you're not quite getting there. I think you'll see your speed (and proportionally your heart rate) improve when you can lock into that cadence and stay more on it than not far from it. What do you think? Hi TPP - I think you are right in terms of correlating HR and SPM, although a linear projection to 180 SPM would not get me to targeted pace. Perhaps the difference between what I've been running (~174 SPM) and the 180 ideal will require more incremental effort that could then drive up HR and yield a lower pace. What's frustrating for me is that, up to this year, I could expect 8:20-8:50 paces for 5K's. Now I'll consider it an achievement if I break 9 minutes. Hmm.."Perhaps the difference between what I've been running (~174 SPM) and the 180 ideal will require more incremental effort that could then drive up HR and yield a lower pace." lol.. I thought that's what I said, but you said it so much better! I would concentrate on turnover. How were you running when using the metronome? Yes, what I didn't say clearly was that the 3% difference increasing SPM might require much more than a 3% incremental effort. The metronome got me up to 87 SPM but I stopped using it at that point.